Giennois is one of the lesser-known appellations in the Loire area, but it is just a few kilometres north of Sancerre and Pouilly-Fumé. 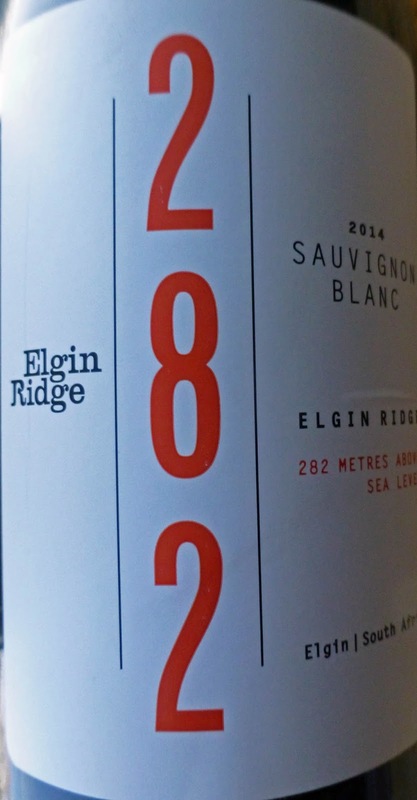 This crisp Sauvignon Blanc doesn’t let the neighbours down, far from it. It suits perfectly seafood and grilled fish, goats cheese too. Colour is a light straw with green tints. It is moderately aromatic, white fruit, floral notes too and minerality. That distinctive minerality is immediately obvious on the palate where the excellent white fruit flavours (citrus prominent) combine well with a super acidity for a refreshing drop that also finishes well. Highly Recommended. Diwald are regarded as pioneers of organic wine in the Wagram region and they interfere as little as possible in the cellar. Winemaker Martin Diwald has called this wine “a typical cheeky Riesling of the Wagram region". Just in case you were wondering, Fucksentanz, the name of the wine, translates as fox dance. Colour is a light gold, bright and clear. There are rich and fairly complex aromas: pear and peach, notes of honey, floral too. There is a tingly sensation on introduction to the palate. The fruit is pure, outstandingly fresh with exuberant acidity, exquisite balance with a long lip-smacking finalé. Minerality and character help make this Highly Recommended. 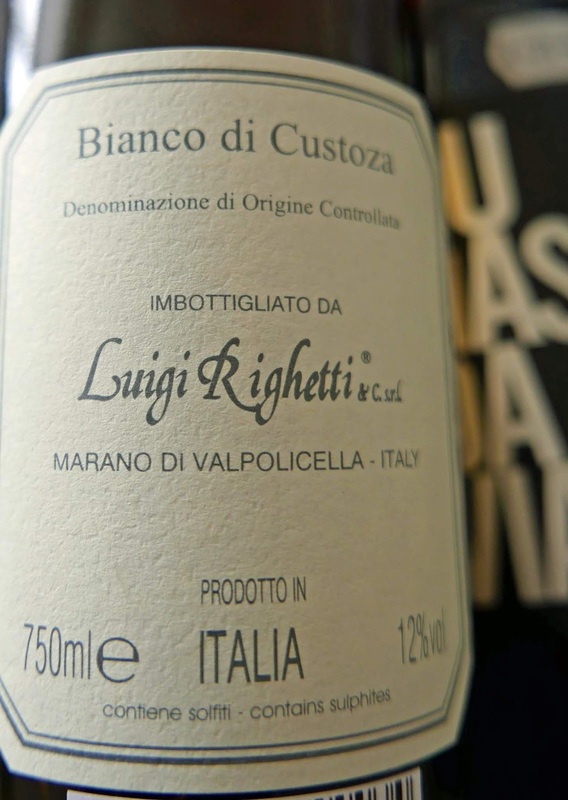 Fiano and Malvasia are the grapes used to make this Italian white. Production is organic with “a strong propensity for innovation, sensitive to the environment, culture and knowledge” The wine has been vinified and aged in stainless steel. Light straw is the colour. There is an interesting melange of scents, white fruit combined with herb and floral notes. It is smooth and fresh, excellent mouthfeel, superbly balanced and with a persistent finish, the fruit still going strong. Highly Recommended and good value too by the way. Alsace, in north eastern France, has 51 Grand Crus. The system, and not everyone there agrees with it, is terroir based and allows (mostly) just one varietal per wine. So in the pair below, we have Riesling on its own and Pinot Gris also on its own. 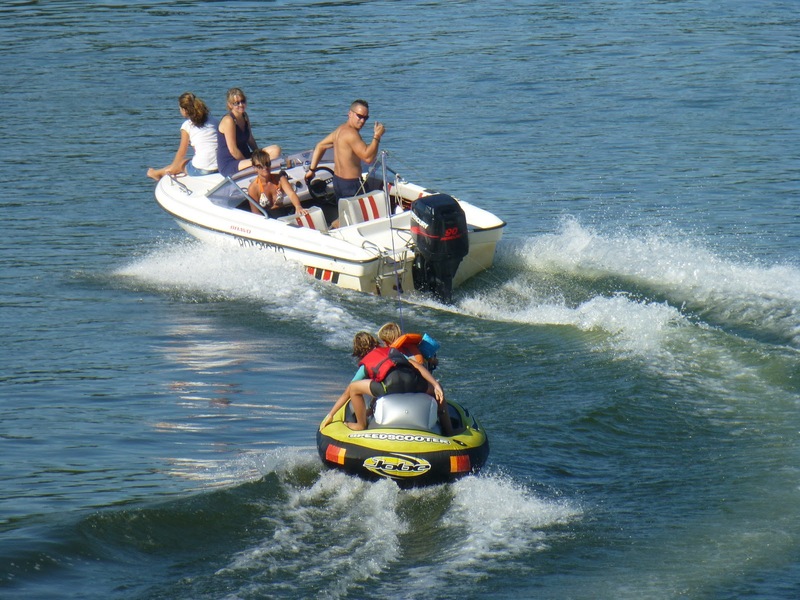 The area has never been reluctant to blend though and one such to watch out for is Gentil. Most wine producers have a Gentil in their portfolio. It is a blend of most of their varieties and the Alsatians are quite proud of it. They have to meet a high standard to qualify and Gentils are often reasonably priced. Try Trimbach, Hugel and Meyer-Fonné for a start - it is a very cool introduction to the Alsace wines. 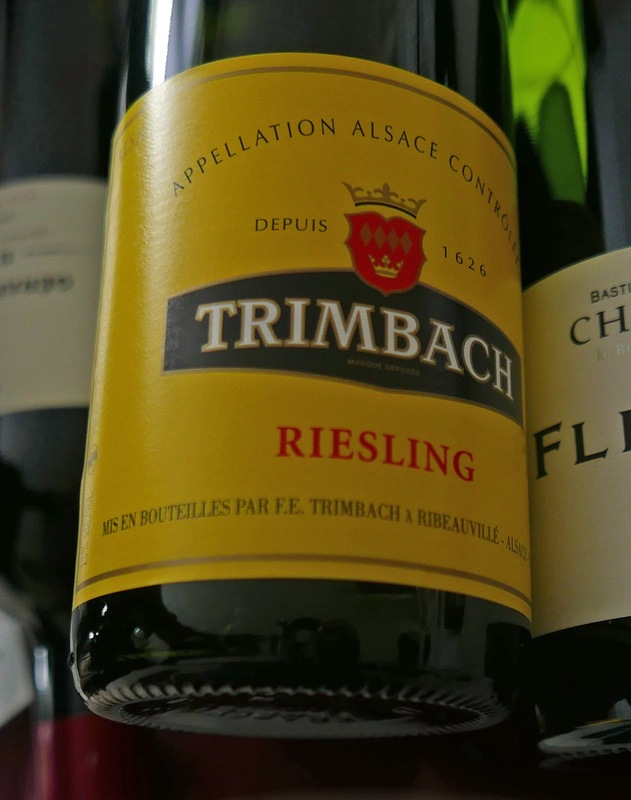 Riesling, used for dry and sweet wines in the general Alsace area, is the king here and the Alsatians are extremely proud of it. And indeed, unusually for France, you will see the grape name (not just Riesling) mentioned on the bottle label. 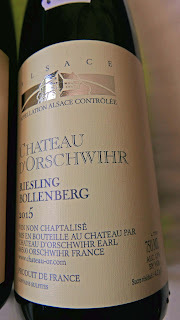 Chateau D’Orschwihr is in the extreme south of the region as are the Grand Crus Kitterlé and Pfingstberg. 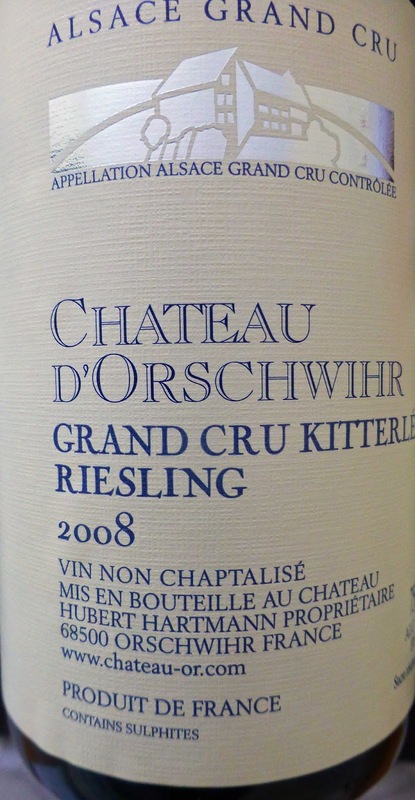 Chateau D’Orschwihr Grand Cru Kitterlé Riesling 2008, 12.6%, Karwig Wines. Yellow going on gold is the colour of this old-stager! Intense nose, the expected petrol aromas almost camouflaged by the fruit. Exuberant on the palate, fruit flavours, minerality and excellent acidity, all in perfect harmony up to and through the long lip-smacking finish, a finish that lingers. Very Highly Recommended. A power packed wine and should go well with spicy Asian dishes, so often recommended for the grape. It is not often you see Vin Non Chaptalisé (no added sugar) on the label. The practice is still permitted, mostly in northern countries, including in France and Germany, where grapes are produced with low sugar content. It is forbidden in California but producers there can add grape concentrate. Acidification is the other side of the coin. Read more here. 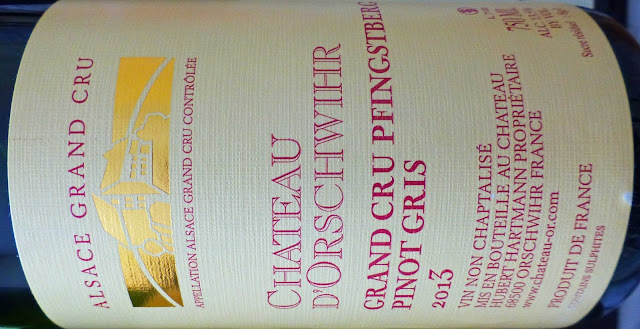 Chateau D’Orschwihr Grand Cru Pfingstberg Pinot Gris 2013, 13.5%, Karwig Wines. Colour is a mid straw. A fruity nose, hints of spice. Rounded, rich and complex, the merest touch of sweetness, with a very pleasant mouthfeel. Nicely balanced, without the minerality of the Riesling. An easy drinking yet compelling wine, well made, quite elegant and Very Highly Recommended. Excellent Wines from Franconia in the famous "Flat Bottle"
The vineyard, Escherndorfer, its steep slope open to the south, has been regarded as a special one for centuries, creating wines of a distinctive concentrated fruitiness and great longevity.The producer is a member of the German Premium Wineries and you will see the indicator of this, the initials VDP, on the neck. 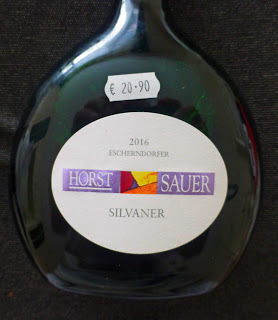 The wine, made from the Silvaner grape, in the distinctive Franken Bocksbeutel, is a light straw colour and you’ll note micro-bubbles clinging to the “flattened” bottle. There are intense scents of pear, melon and gooseberry. Aromatic and fruity, with a vivid and refreshing minerality also at play. Not really as “reserved” as the website hints at, as flavours are quite concentrated from early on and the finish is persistent with elegant acidity and that minerality of course. Highly Recommended. Again, the protective south facing slope is a big factor in this attractive trocken (dry), powerful and complex. 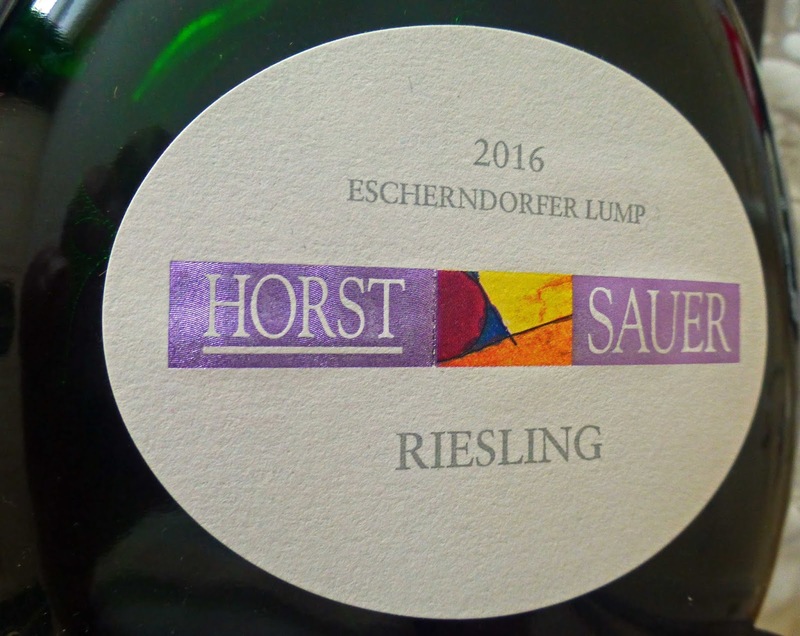 The producers have no doubt about it: “In these Escherndorfer Lump wines lie our life blood”. So what do you get from this light straw coloured wine? Firstly, complex aromas of peach and nectarine, apricot and hints of honey. Much the same fruit flavours combine superbly on the rich palate, moderate but effective acidity, intense and well-balanced, minerality too, all the way to the satisfactory dry finalé. 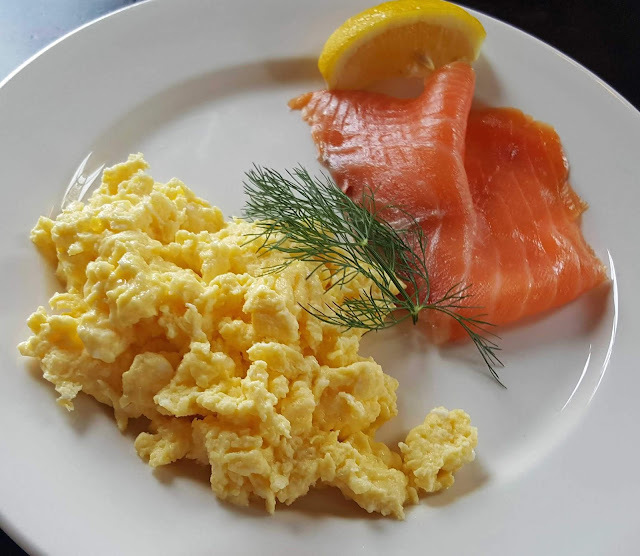 Looks well, smells well and tastes well and Very Highly Recommended from the Franconia area. Perfect match with spicy and Indian food. This bottle shape, according to Wikipedia, is derived from that of field bottles, which were known already in antiquity, and which were manufactured with a flattened shape for practical purposes, for example to keep the bottle from rolling away on uneven ground. 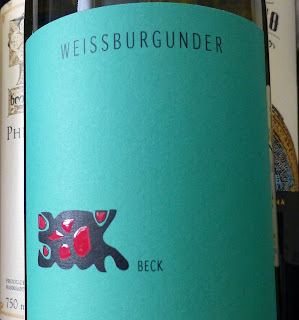 The Bocksbeutel has been used for wine from Franconia at least since the early 18th century, initially for the wines from the region's most famous vineyard, the Würzburger Stein, and later for other Franconian wines, in particular those of better quality. The city council of Würzburg decided in 1728 that the best wines from the city's own winery, the Bürgerspital, should be filled in Bocksbeutel bottles. White Wine Weather. Three of the very best! Trimbach (not Jean methinks!) sum up their wine story that began in 1626: “exceptional terroirs and fine wines”. And so they continue. 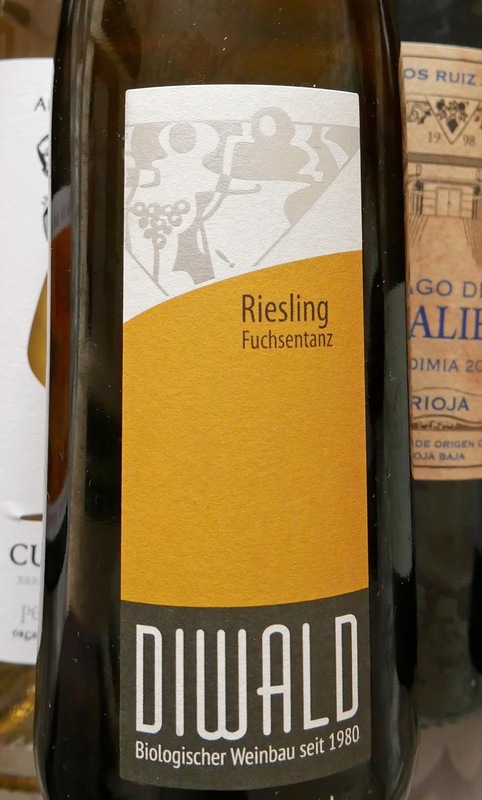 This is “a great example of dry Riesling” according to Decanter, talking about the 2014 edition. It is indeed a lovely wine with a light strawy colour. Apples and a touch of lime in the restrained aromas. Smooth on the palate with terrific white fruit flavours and the amazing dry finish goes on and on. Well made as you’d expect from this producer and Very Highly Recommended (even at the regular price - I got this in a sale). Colour of this 100% Sauvignon Blanc is a light straw, tints of green. Fairly intense aromas, lime and apple, mineral notes too. 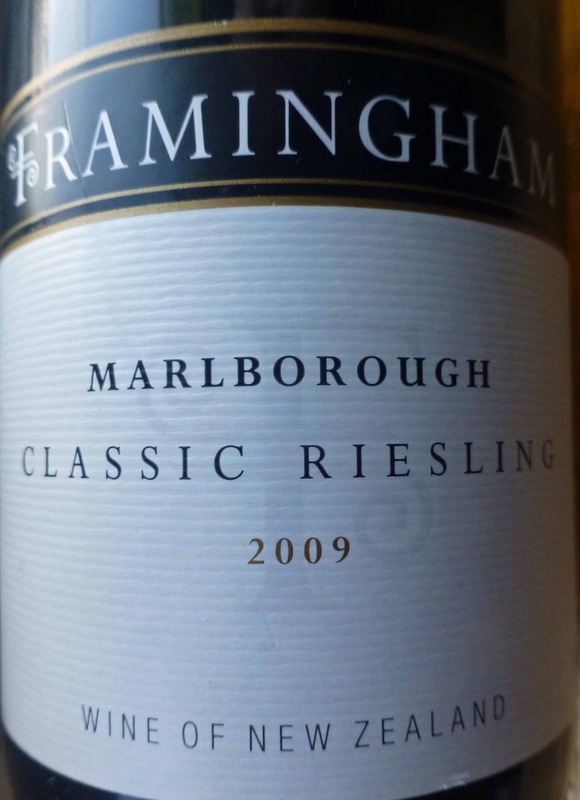 Terrific rush of outstanding flavours, citrus now prominent, matched by an equal burst of the most refreshing acidity. And the finish lacks nothing at all, long and satisfying. No need to say too much about this one, just Very Highly Recommended. 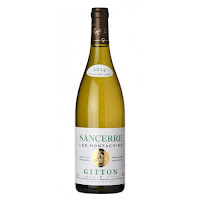 Speaking of the variety, Wine-Searcher.com says the key selling point of Sauvignon Blanc “is its straightforwardness” and that is certainly the case here. 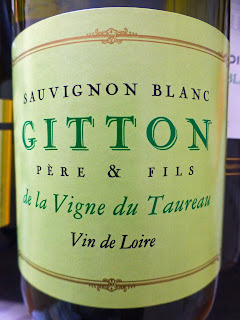 Its home land is the Loire and it is now found growing successfully in quite a few countries, notably in New Zealand. Pair with oysters, crab, delicate white fish, green vegetables and salads, and cheese (goats in particular). 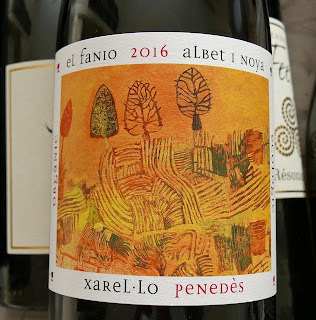 Albet i Noya El Fanio Xarel-lo 2016 Penedes (DO), 13%, now €17.00 Mary Pawles Wines. Colour of this organic wine is light gold. Citrus, gooseberry, floral notes too, in the nose. Lovely creamy mouthfeel here - it had been on lees for six months; herb flavours to the fore, thyme and rosemary and other notes from the local scrub, fresh and lively acidity too make this a very friendly wine indeed, a distinctive one also and Very Highly Recommended. Great value as well. El Fanio is the name of the vineyard and the grape variety is Xarel-lo, familiar to many of you as a key grape in Cava. The wine is aged in cement eggs (not very romantic!) and in acacia barrels. 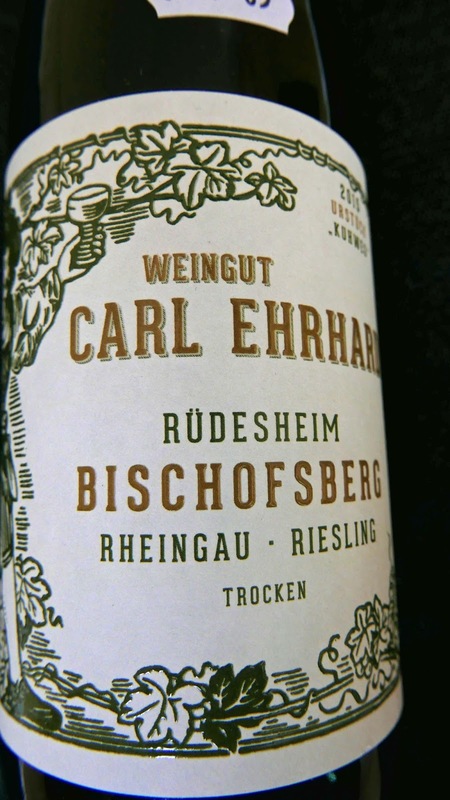 I’ve long been a Carl Ehrhard fan and that continues after sampling this Riesling trocken from Bischofsberg, one of his vineyards. It has lovely bright gold colour. Apples feature in the aromas. This enticing crisp wine sees apples also in the flavours, a lively acidity too and then that minerally finish. This is a food friendly wine, Asian food and cheese are among the suggestions. Excellent too on its own and Very Highly Recommended. Bischofsberg is the vineyard, named after a local archbishop. Rheingau is the wine district. Ehrhard - you’re on a winner! The vineyard has a gentle south-facing slope and the area in general is well known for its dry Rieslings - “full bodied with racy acidity”. 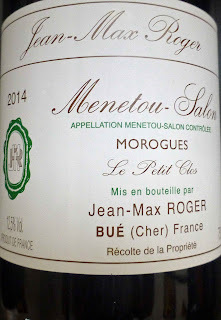 The Marsanne fruit for this Vin de France comes from an uncle’s vineyard revived by the return of Yves Cuilleron to Chavanay at the northern end of Saint-Joseph, one of the eight Northern Rhone crus. If you like this, you are in good company as Victor Hugo was an admirer of Saint-Joseph wines. The main white grapes here are Clairette, Marsanne, Roussane, Viognier, Bourboulenc and there are two secondary grapes White Picpoul and Ugni Blanc. Anticipation was high as I settled down with this. 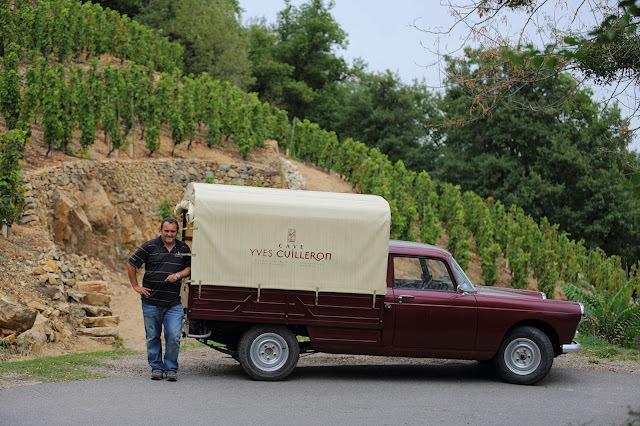 Cuilleron comes with high ratings: …superstar…leading light…bright shining star..are adjectives applied to him by leading wine writers and publications. Colour is bright yellow with tints of green, limpid in the bottle. On the nose there are white fruits, hints of honey and light floral notes. 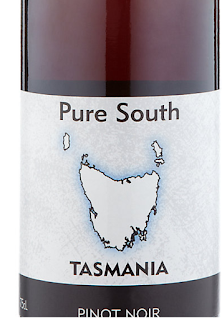 It is round, rich with exotic flavours, a semi-creamy texture, acidity enough and a long dry finish. This fresh and generous wine over-delivers. It is a high quality entry level wine and Very Highly Recommended. Marsanne can age well but this one (all 18,200 bottles) is made to be drunk when it is young and fresh (sur le fruit). Wagner and Strauss. An impressive duet in red and white. An impressive duet in red and white. Wagner Stempel Riesling Rheinhessen (DQ) 2015, 12%, €19.95 Bradley’s Cork. Nine generations of the Wagner family have been involved in wine-making here since 1845. Daniel Wagner has been the wine-maker since the early 90s and under him they have converted to organic production methods. According to the Finest Wines of Germany, he has proved that “forgotten or previously unconsidered terroirs can be of exceptional quality when they are interpreted properly”. Harvest is late (October/November) and the wines are kept on their lees until the end of May.This one, labelled trocken, is imported by the Wine Mason. Colour is light straw, tints of green, micro-bubbles cling to the glass. Quite a bunch of aromas, fruit, herbs, even a hint of smoke. 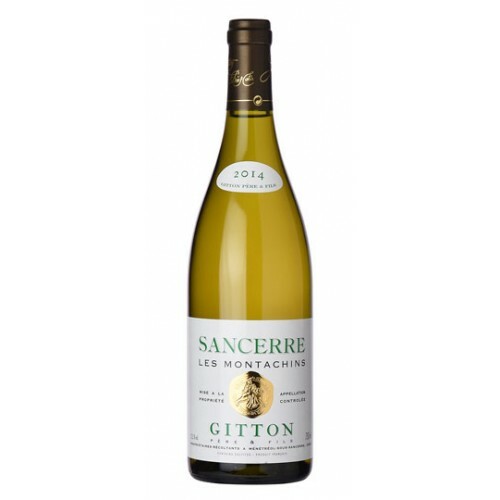 A fresh and fruity vibrancy emerges as soon as it meets the palate - notes of melon, spice and yellow apple - all balanced by a keen acidity; the long flavourful finish is lip smackingly dry. Very Highly Recommended. A superb uncomplicated wine to be enjoyed with or without food. I enjoyed it with Hederman’s smoked mackerel, freshly boiled beetroot from the garden, and salad leaves with some roasted pepper. 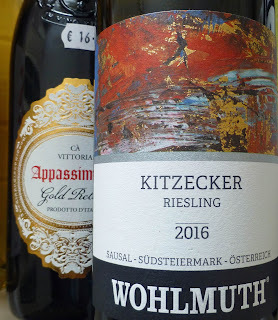 Zweigelt is the grape and Kremstal is the area in Austria where this fragrant and elegant wine comes from. The blue/black Zweigelt is the most widespread red wine grape in Austria. 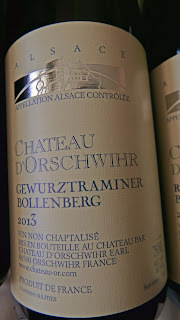 A cross between St Laurent and Blaufränkisch, it was developed in 1922 and is said to deliver full bodied wines with tones of morello cherries. The morello is black and a sour kind of cherry. 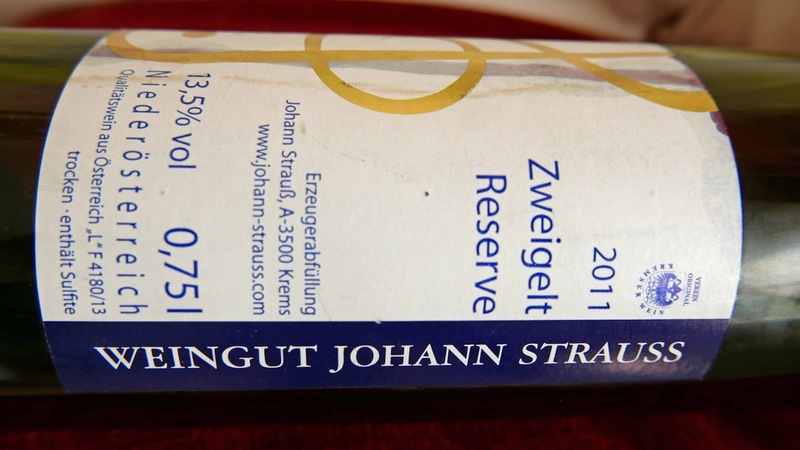 Our Zweigelt has a mid-ruby robe and a fragrant nose of dark red fruits, hints too of pepper. Rather elegant introduction with soft tannins. 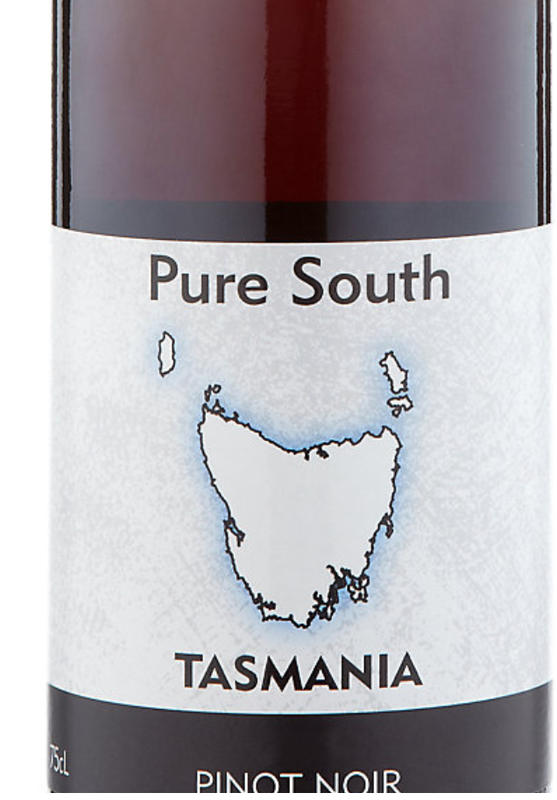 Restrained waves of those cherry flavours follow, a touch of spice too and then a lingering finish. A pleasure to drink this one and Highly Recommended. Three Delightful Whites. Chapeau Chaps! We have been traveling all over to assemble this top notch trio of white wines for you. Maybe just a trio but they amount to quite an orchestra, maybe even capable of a symphony. The traveling has not been done by me personally but by the folks from Wine Mason, Mary Pawle and Le Caveau. They have bought well. So, let us doff the hats and say Chapeaux to the chaps and chapesses! Turner Pageot Le Blanc 2015, Languedoc (AOP), 14%, €19.95 Bradley’s, North Main Street, Cork. Colour is a shiny pale gold. 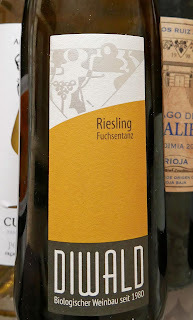 The nose, slightly honeyed, is of ripe apricot and exotic fruit. Ripe fruit abounds on the medium-dry palate. This is fruity, rich and round and quite a powerful wine with a long and mineral finish. Very Highly Recommended. It is an organic blend of Roussane (80%) and Marsanne (20). 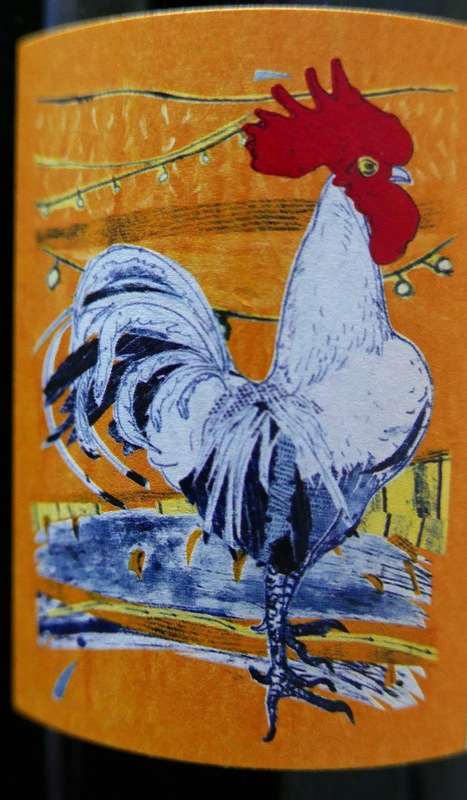 Turner Pageot, imported by the Wine Mason, produce a range of “gastronomic wines” and say the striking colourful collage on the label suggests exciting food and wine matches. And the food and wine pairings they suggest are Fish and crustaceans in sauce; Saint Jacques with black truffle; Pike dumplings Nantua sauce; Noble poultry; White sausage. Old-fashioned veal blanquette. Mushrooms with cream. Noble poultry, how are ye! Well, come to think of it, there was some right royal Irish chicken in the Thai Green Curry from Cinnamon Cottage. I tried the wine with that delicious dish and they got on very well together! The low-yielding vineyard overlooks the Danube and this organic trocken (dry) white wine has spent 8 months on lees. Importer Mary Pawle recommends matching it with scallops. It is often recommended with Asian also. Indeed, Grüner Veltliner is a very good food wine, very versatile, so much so that sommeliers regularly mention it, especially if a small group is hesitating over which wine to order. This Diwald bottle boasts an attractive light gold colour. You’ll first meet its light fruit (apples, citrus) and white pepper on the nose. A tingly feel introduces it to the palate, that clean fruit fresh is there too, balanced by a lively and lovely acidity. Very Highly Recommended. Colour is an inviting rich yellow. Floral and citrus elements in the aromas and a hint of diesel too followed by a mouthful of delicious complex flavours. 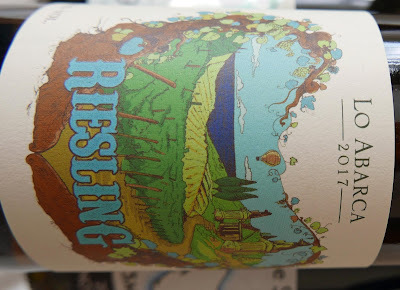 It is just off-dry with a little sweetness in the mix - think Mosel rather than Rhine. Texture has been reinforced by some six months spent on lees. Balance comes from the juicy acidity and the finish is long and drying. Overall quite a rich Riesling and a Highly Recommended one. The diesel is almost always an unwanted distraction for me in New Zealand (and Australian) Rieslings but here it is just about noticeable and hardly at all with food, especially with that delicious Skeaghanore Smoked Duck Breast. 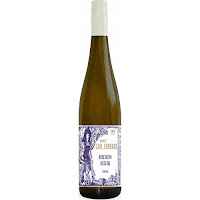 Thought to be related to Riesling and presumably brought by Cluny monks to 12th century Iberia, via France, the recently fashionable Albarino grape is now mainly associated with Rías Baixas in north western Spain. It is also grown in neighbouring areas in Portugal where it is known as Alvarinho. I was expecting good things in this bottle and I got them, even better than anticipated. Colour is mid-gold, bright and clean and there is no shortage of white fruits in the aromas. 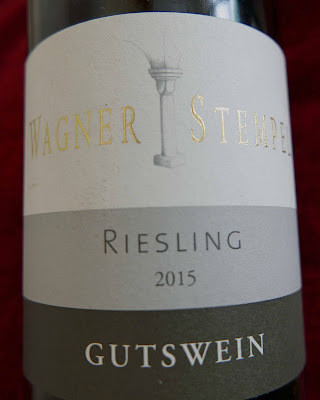 On the palate, it is bright and fruity, citrus in the tingle, minerality to the fore, a superb combination overall and that includes the long finish. 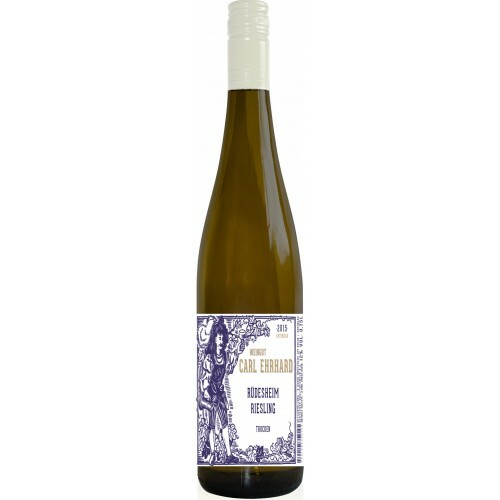 Ticks all the boxes for a classy Albarino and is Very Highly Recommended. The producers say it is ideal with seafood, shellfish and fish and especially with Tuna steaks. 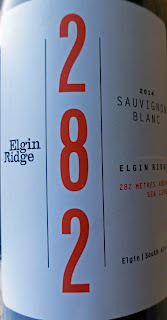 At 282 metres above sea-level, we are at the ideal height to create cool climate Sauvignon Blanc in the Elgin Valley. The organic farming methods give the wine its elegance and unique flavour. So says Marion Smith, ex Ballyjamesduff, who now runs the winery with her husband Brian. By the way, Dexter cattle, a native Irish breed, figure in the organic farming, grazing between the rows of vines and indeed Marion has the biggest herd of Dexter in the Western Cape. Dexters aren’t the only “helpers” for Marion and Brian, who planted their first vines here in 2007. They also use Dorper sheep, chickens and Peking ducks to control the weeds and pests. Looks like the combination is working very well indeed. Colour is a medium-gold with green tints. The aromas are fresh and cool. That freshness extends to the palate, tingly with concentrated white fruit, including gooseberry, citrus also prominent, pepper and spice too and then an excellent finish. Highly Recommended. Grapes are hand-picked and indeed the vinification is focussed on “preserving the natural fruit”. This is facilitated by natural and gentle fining and slow cool fermentation. As usual Carl Ehrhard gets it right. Colour is pale gold with greenish tints and you'll note micro bubbles clinging to the glass. Aromas are a gentle mix of apple and citrus. It tingles the palate; the intense fruit, now with more than a hint of grapefruit, and a super refreshing acidity combine well all the way to a long finish. This dry wine is Very Highly Recommended. Perfect for aperitif and with seafood and Riesling is regularly recommended for Asian. We’ve got two excellent whites for you to consider this week. One is a Riesling from Germany’s Rheingau and the other is a Sauvignon Blanc from the little-known Menetou-Salon appellation in the Loire valley. Germany’s greatest variety, Riesling, is first documented in the Rheingau in 1435. 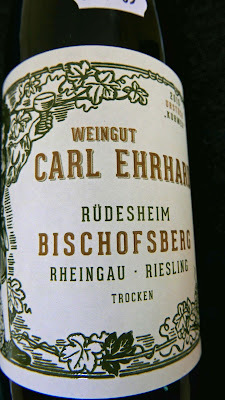 Don't think Carl Ehrhard has been there that long but he has built up a great reputation and our selection is a lovely example. Menetou-Salon is a village at the eastern end of the Loire Valley wine region. 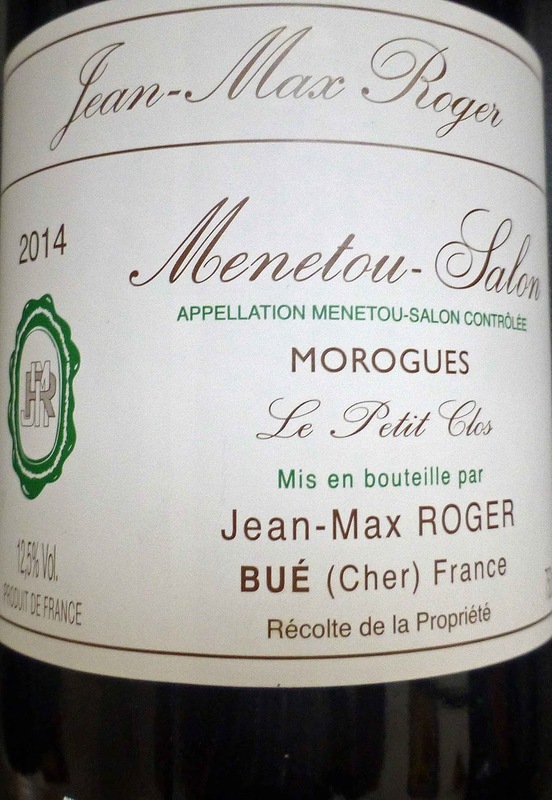 Wine-searcher.com says it is “forecast by many to be a potential rival for the famous Sancerre appellation (its immediate north-eastern neighbor), Menetou-Salon is rapidly establishing its reputation at an international level”. The reputation is being built on two varieties: Sauvignon Blanc and Pinot Noir. Kabinett: a wine made from fully ripened grapes of the main harvest, one level lower than Spätlese. 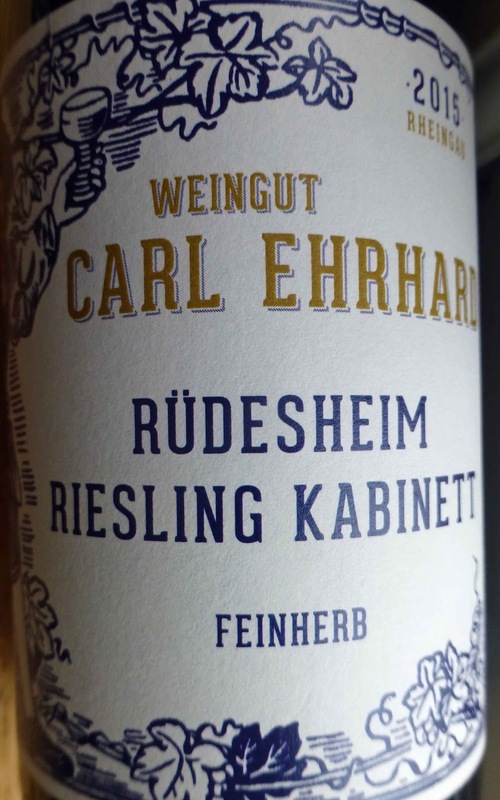 This light gold 100% Riesling has lots of mini-bubbles clinging to the glass. There are white fruit aromas and the intense fresh fruit flavours (apple, citrus) make the tongue tingle at the start before rolling deliciously on. That tingle is the acidity keeping all that lively lovely fruit (with its hints of sweetness) in balance, right through to the excellent finish. 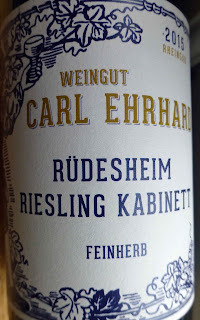 Carl Ehrhard never leaves one down and this is Very Highly Recommended. Just to let those of you worried about the whiffs of diesel from some Rieslings know, there is not a trace of fumes here! This is a classic Loire Sauvignon blanc, on a par with neighbouring Sancerre where Jean-Max also farms. It is elegant and restrained and the perfect partner for “the bounty of the seas,..... Also a good match for white meats and goat’s cheese”. The fruit comes from 5 hectares of vines in Le Petit Clos vineyard. In this steep south-facing slope, grape quality is the season long target. 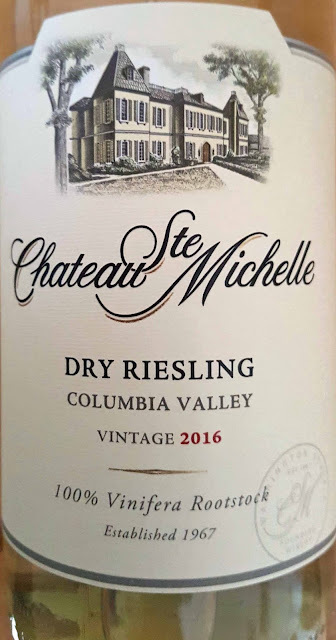 This light gold wine has pleasant herbaceous aromas, citrus hints too, and these follow through on a fresh and lively palate, superb balance and long finish. Dry and crisp, with lots of character, this excellent Sauvignon Blanc is Highly Recommended.